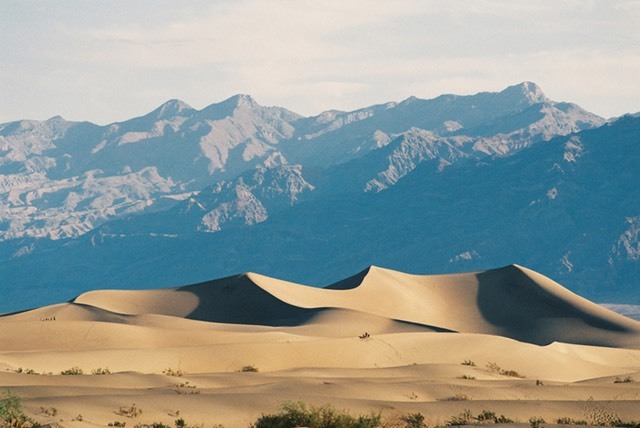 This photograph is one in a series of iconic American road trip photos by Peter Thody from Death Valley National Park: on-the-road images including Badwater Basin, Aguereberry Point View, Devil's Golf Course, Eureka Gold Mine, Panamint Valley, Twenty Mule Canyon, Mesquite Flat Sand Dunes, Highway 190, Zabriskie Point. Prints are available for purchase. Please contact Peter Thody.